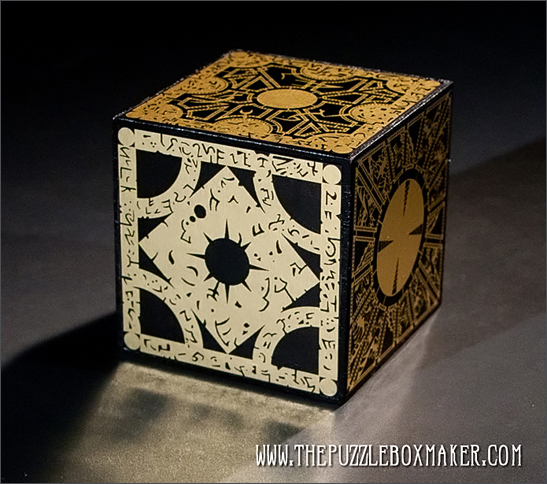 The Foil Face Hellraiser Puzzle Box is an affordable alternative to the etched Brass and Mahogany Hellraiser Puzzle Box. 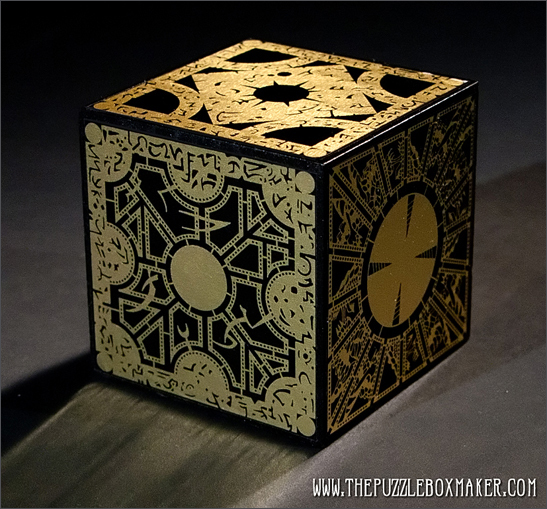 The panels are based on the boxes used in the Hellraiser 1 and Hellraiser 2, which were designed by Simon Sayce the original designer of the boxes. 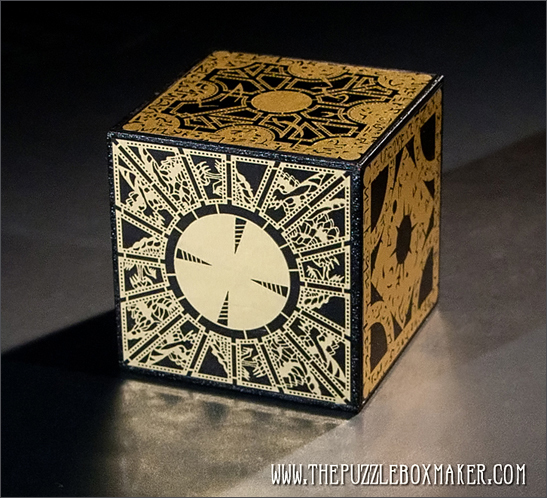 The foil box is made with High Quality Foil Laminates(IE Foil Stickers) that are so shiny and repel water.